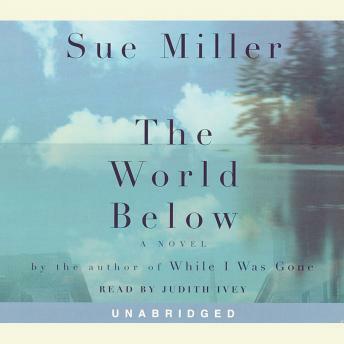 From the author of While I Was Gone, a stunning new novel that showcases Sue Miller's singular gift for exposing the nerves that lie hidden in marriages and families, and the hopes and regrets that lie buried in the hearts of women. Maine, 1919. Georgia Rice, who has cared for her father and two siblings since her mother's death, is diagnosed, at nineteen, with tuberculosis and sent away to a sanitarium. Freed from the burdens of caretaking, she discovers a nearly lost world of youth and possibility, and meets the doomed young man who will become her lover. Vermont, the present. On the heels of a divorce, Catherine Hubbard, Georgia's granddaughter, takes up residence in Georgia's old house. Sorting through her own affairs, Cath stumbles upon the true story of Georgia's life and marriage, and of the misunderstanding upon which she built a lasting love. With the tales of these two women--one a country doctor's wife with a haunting past, the other a twice-divorced San Francisco schoolteacher casting about at midlife for answers to her future--Miller offers us a novel of astonishing richness and emotional depth. Linked by bitter disappointments, compromise, and powerful grace, the lives of Georgia and Cath begin to seem remarkably similar, despite their distinctly different times: two young girls, generations apart, motherless at nearly the same age, thrust into early adulthood, struggling with confusing bonds of attachment and guilt; both of them in marriages that are not what they seem, forced to make choices that call into question the very nature of intimacy, faithfulness, betrayal, and love. Marvelously written, expertly told, The World Below captures the shadowy half-truths of the visible world, and the beauty and sorrow submerged beneath the surfaces of our lives--the lost world of the past, our lost hopes for the future. A tour de force from one of our most beloved storytellers.